Multifunctional Camping Hammock Just $14.55! Down From $50! You are here: Home / Great Deals / Amazon Deals / Multifunctional Camping Hammock Just $14.55! Down From $50! Swinging in a hammock is a perfect way to enjoy life. It’s so relaxed and enjoyable when lying in your hammock while listening to music or reading. This hammock is a good choice – easy to carry and perfect for camping or hiking! 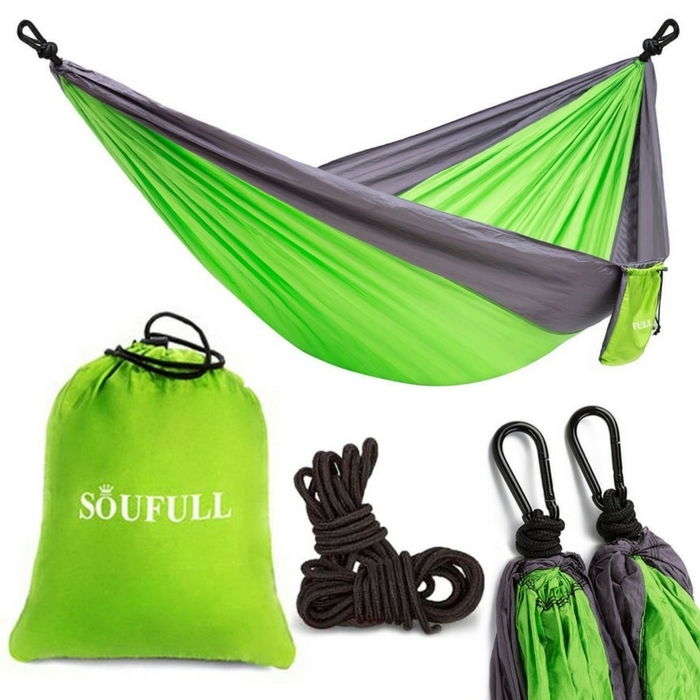 At Amazon, you can score this Multifunctional Camping Hammock for just $14.55 down from $49.99! This go anywhere hammock is perfect for camping and backpacking, but that is not all! Use it at home in the yard or on the patio, so you could even use it indoors when unexpected guests drop in for the night. It’s so comfortable they will be happy not to be stuck on the couch.